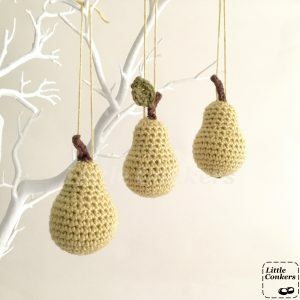 My pear ornaments range began with this beautiful classic pear green colour, that stands out wonderfully against the dark foliage of a Christmas tree or wreath. 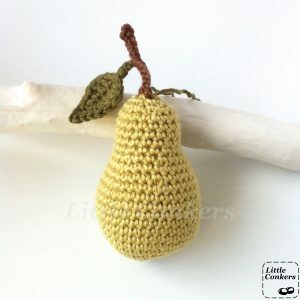 All my items are as eco-friendly as I can make them. 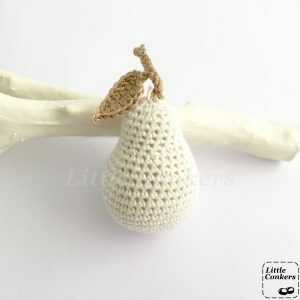 These pears are made in a combination of bamboo, organic cotton and wool yarn, and are stuffed with 100% natural British wool. I avoid the use of non-organic cotton as current cotton production methods are environmentally unsustainable. 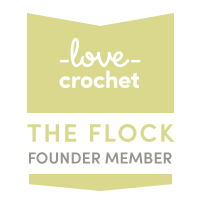 Locally-sourced wool is a sustainable, annually-renewable resource. 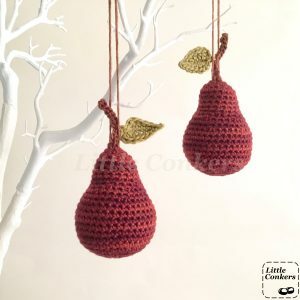 This year I have introduced a snowy-white version – it looks stunning on a white twig tree – and now also a deep garnet red pear. 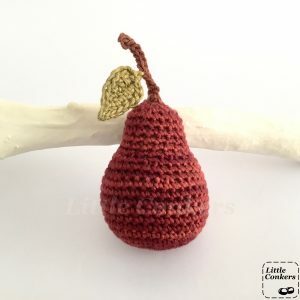 The new garnet version is made in a hand-dyed bamboo yarn which has a natural sheen and subtle variations in shade throughout. 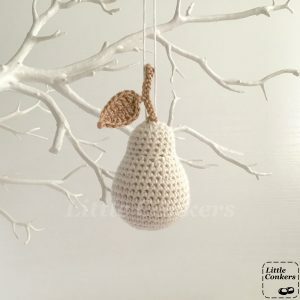 This yarn is hand-dyed and balled by women in an economically deprived region of South Africa, providing much-needed employment and empowerment. 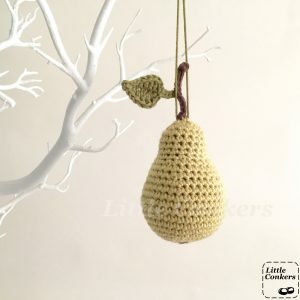 Mix and match these pears with other decorations from my full range of handmade Christmas ornaments. 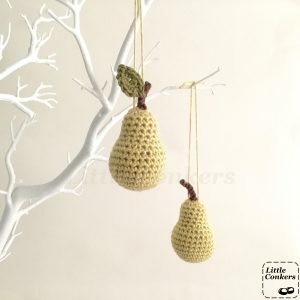 Wouldn’t the gold and ruby/garnet versions make lovely wedding anniversary gift too? 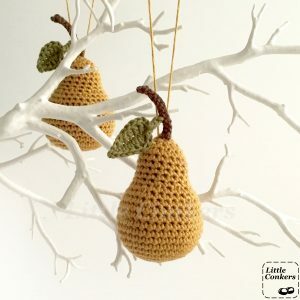 How about making your own pear ornaments using my pear crochet pattern? 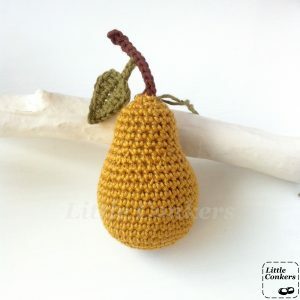 This is one of my range of matching crochet fruit patterns.